If you’re on the hunt for a new festive libation to add a holiday cheer to your season, have we got a treat for you. This festive Puerto Rican coquito recipe puts a delicious spin on your old favorite eggnog — complete with booze and coconut in the mix. Did we mention there’s booze? 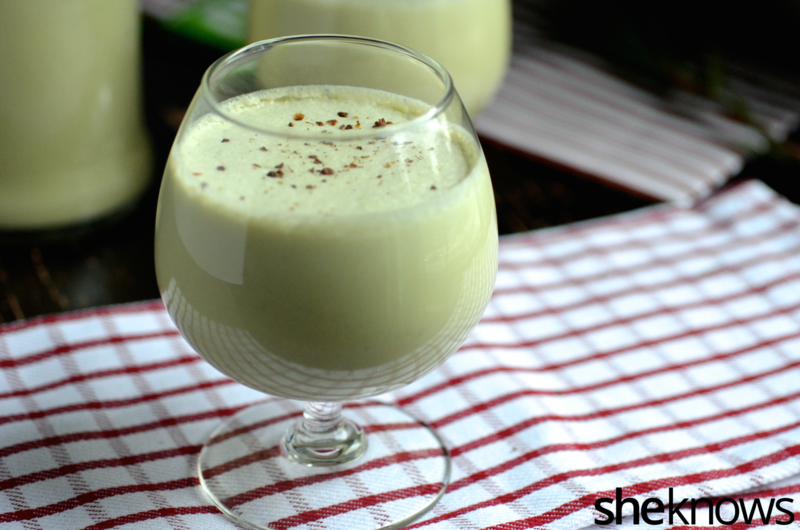 When you grow up in a Puerto Rican family, coquito is a staple at all your holiday parties. The creamy rum and coconut drink is essentially our version of eggnog, usually served very cold in small glasses with a generous sprinkle of cinnamon on top. Among Puerto Ricans, it’s also a popular homemade Christmas gift — the perfect thing to give to neighbors and co-workers to celebrate the season. Like with most traditions, there are as many variations of coquito recipes as there are families who serve them, and each cook will adamantly insist that her way is definitely the best way. I’ve never been much of a purist, seeing just as much value in all the versions as long as they’re delicious! In my own kitchen, I’ve always preferred to add my spin to recipes, and coquito is no exception. While I definitely enjoy a glass of the classic coconut version, I also think it’s a perfect recipe to play around with and create something new. Pureed with the more typical coquito ingredients of coconut milk, condensed milk and rum, the final drink is sweet, nutty and slightly reminiscent of melted pistachio ice cream. A tiny bit of almond extract helps enhance the pistachio flavor, making it even more intoxicating. With 2 full cups of rum, this recipe definitely packs a punch, but keep in mind that it’s meant to be shared with many friends and enjoyed in small portions. If you’d like, you can easily adjust the alcohol content by substituting part of the rum with more coconut milk. Feel free to play around with the recipe and really make it your own. 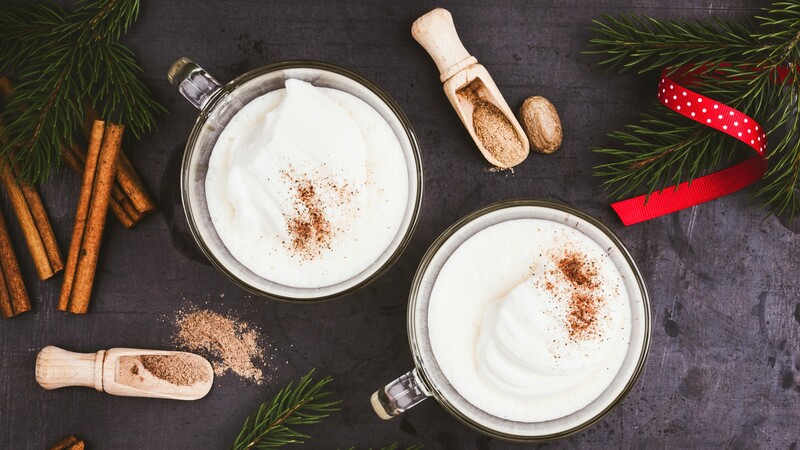 Coquito just might become one of your new favorite holiday traditions. 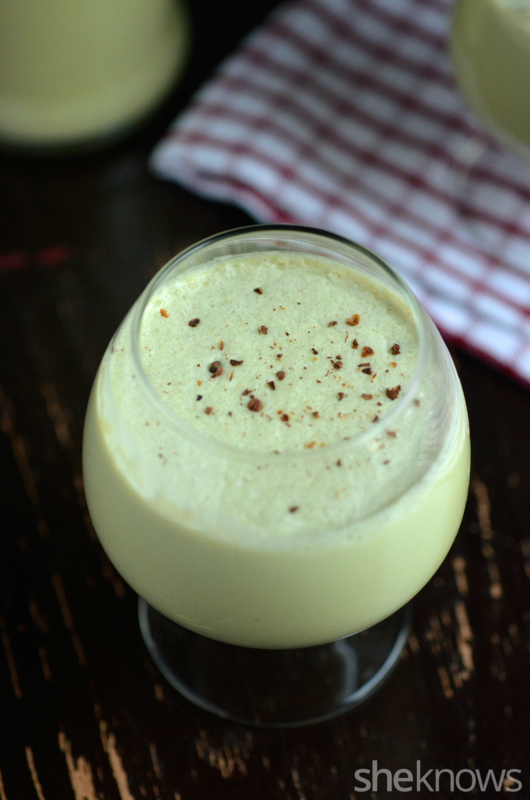 Fans of pistachio-flavored desserts will adore this creamy and nutty eggnog alternative. 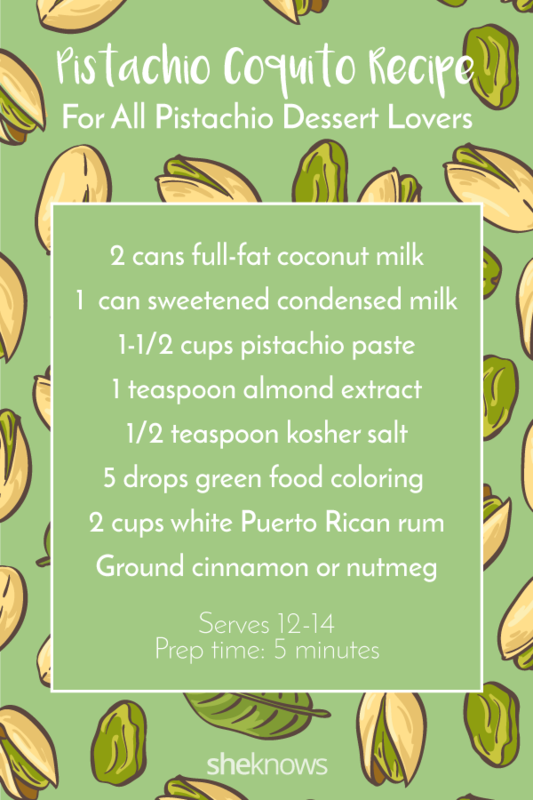 A twist on the popular Puerto Rican Christmas drink — coquito — this version of the rum-based cocktail is made with a blend of coconut milk and real pistachio paste. Transfer to a large bowl or pitcher, and whisk in the rum for 1 minute, until frothy and evenly combined. Divide into glass bottles, cover, and chill for at least 3 hours or until cold. Shake before serving, and garnish with ground cinnamon or nutmeg, if desired. Originally published December 2014. Updated November 2017.